The South Downs Society, now branded as the Friends of the South Downs, is organising a program of talks to complement their objective of preserving and protecting the South Downs National Park. Their aim is to update their members and supporters of their campaigns and activities. Their first speaker will be their President, Baroness Kay Andrews, who will provide insights into her life in the House of Lords. In particular, how the legislation of creating our National Park was dealt with at Westminster. 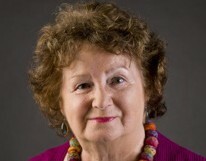 Baroness Kay Andrews was educated locally at Lewes School for Girls and has gained a wealth of experience in Government having been a Member of Parliament since 2000. She served as Whip of the House of Lords in 2002. Alongside her Parliamentary duties she has also served as Chair of English Heritage and is currently the president of the South Downs Society ‘Friends of the South Downs’. Venue: The talk will take place at Pelham House Hotel, Lewes, in the ‘Chamber Suite’, formerly the Chamber room for East Sussex County Council. This event is open to non-members of the Friends of the South Downs – please book via their website.